Whether it’s your first or your twenty first property transaction, it’s important to have someone on your side who you know you can trust; someone who has your best interests at heart. Always. At DAC Real Estate, we do all of this and more. We can manage your property sale or assist you to buy, lease or rent a commercial or residential property. We also provide a range of property management services to those who invest in property. Established in 1988, we have a proven track record of success in Port Moresby and Papua New Guinea. The moment you meet us you will notice that we are different to the rest; it’s this difference that drives our success and yours. We put you first. We’ve achieved many great things for our clients over the years; we’d like to help you to achieve great things too. We begin by listening to your objectives, we then draw on our expertise and work very hard to help you realise your goals. We are passionate. We love what we do and it shows. We have a real passion for real estate but we aren’t pushy, in fact we’re the complete opposite. We politely and respectfully get on with job of helping you to achieve all that you want in property. We are accessible. Call us at a time that’s convenient to you and we’ll be happy to talk to you. Our team are always ready to take your call and offer advice and assistance. We know the market. With over 20 years experience in Papua New Guinea and Port Moresby, you can rest assured we know the local market better than most. While every decision is always yours to make, we offer you the benefit of our market knowledge. We are professional. Fair. Honest. Courteous. Energetic. Adaptable. These are all words that our clients have used to describe us. We are consummate professionals; this means you can expect the very best in client service from us. We have grown considerably over the years and this growth can be attributed to our clients choosing to return many times over to do business with us. Those same clients have also highly recommended us to their colleagues and friends. We are truly grateful for their continued support. 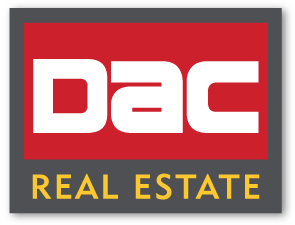 We would welcome the opportunity to find out more about your property requirements whether you are seeking to sell, buy, invest or you want someone to help with property management in Papua New Guinea, DAC Real Estate can help.